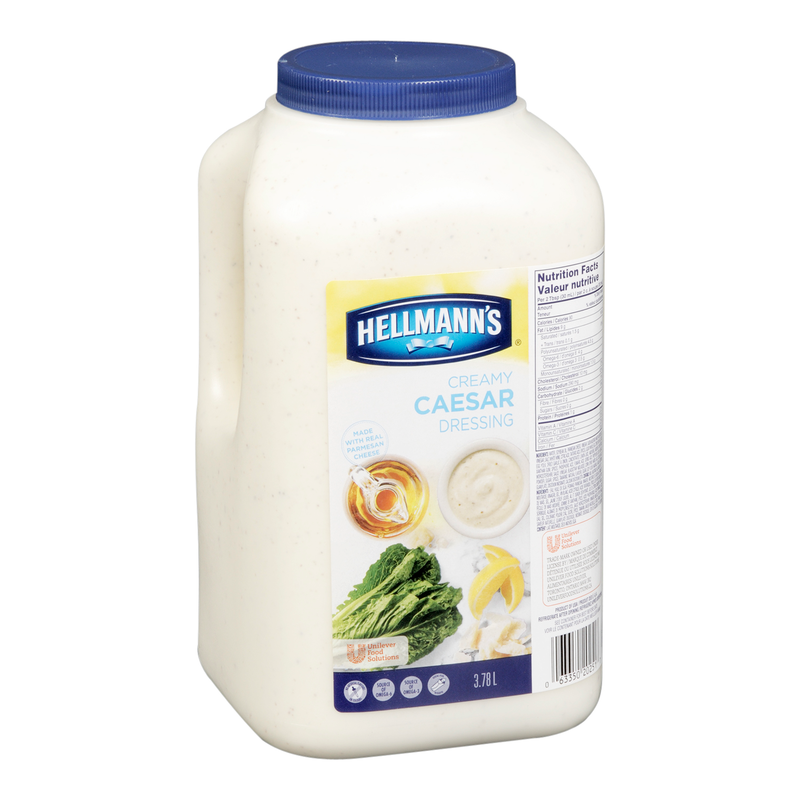 Featuring a balance of garlic, parmesan, pepper, and anchovies, Hellmann's Classics Caesar Salad Dressing brings a complex, mouth-watering flavour to your menu items. This gluten-free dressing is made with real, simple ingredients that your guests can trust--including parmesan cheese--and it contains no high fructose corn syrup or artificial colours or flavours. With just the right amount of grated parmesan, it has a rich mouthfeel that enhances the texture of salads, marinades, spreads, and more. Whether paired with a tossed salad or used as an ingredient in recipes, this dressing is sure to leave your guests with a positive impression.